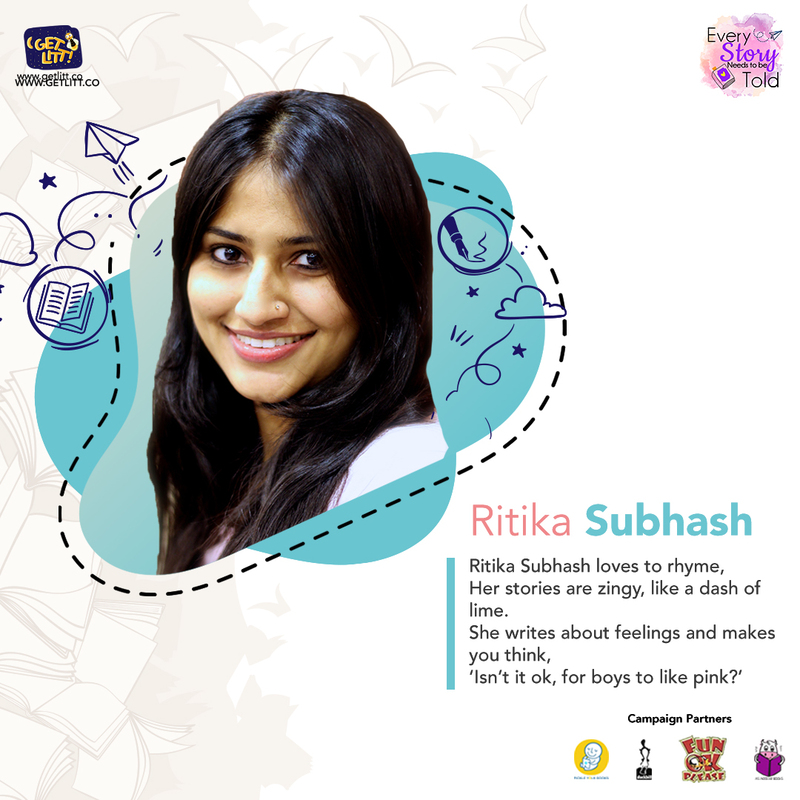 Storytelling Session with Harshikaa Udasi, Anushka Ravishankar and Ritika Subhash - GetLitt! We’re at the tail end of our ‘Every Story Needs To Be Told’ campaign and with that we’ve got our last 3 storyteller videos! It’s a bittersweet closing, but we hope these videos have inspired you enough to have more storytelling sessions with your kids. The three women storytellers we have for you today are authors Harshikaa Udasi, Anushka Ravishankar and Ritika Subhash. Let’s get to know them a little better, shall we? 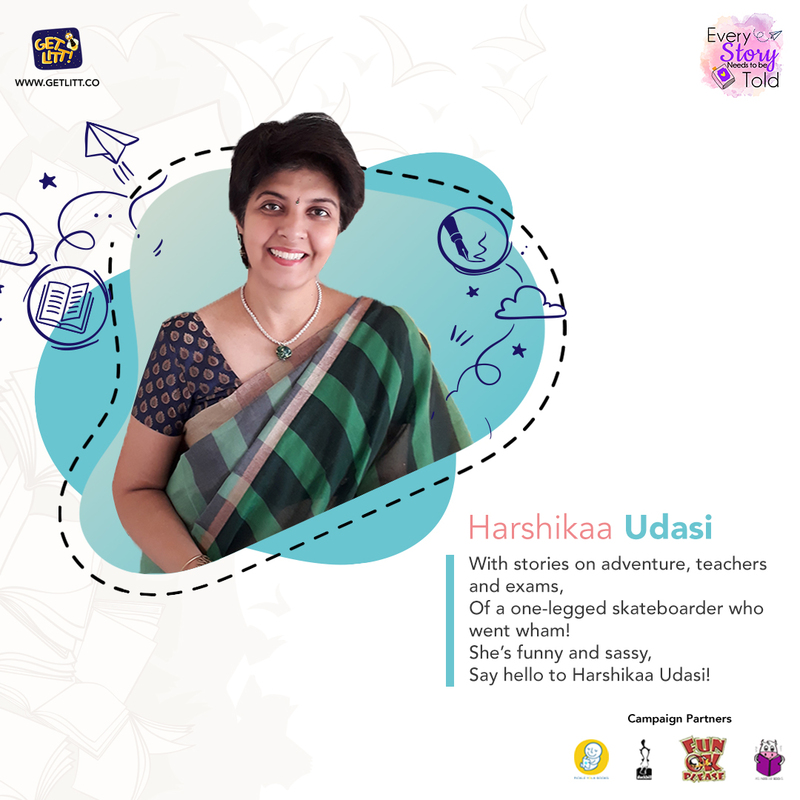 With over 17 years of experience and articles published in The Hindu, The Week, Deccan Herald, Business Standard and the Times of India – it was only natural that Harshikaa Udasi’s next step would be into the world of children’s literature. In fact, she also runs a club for children called the Book Trotters club, which is one of the reasons we thought she’d be perfect for our campaign. 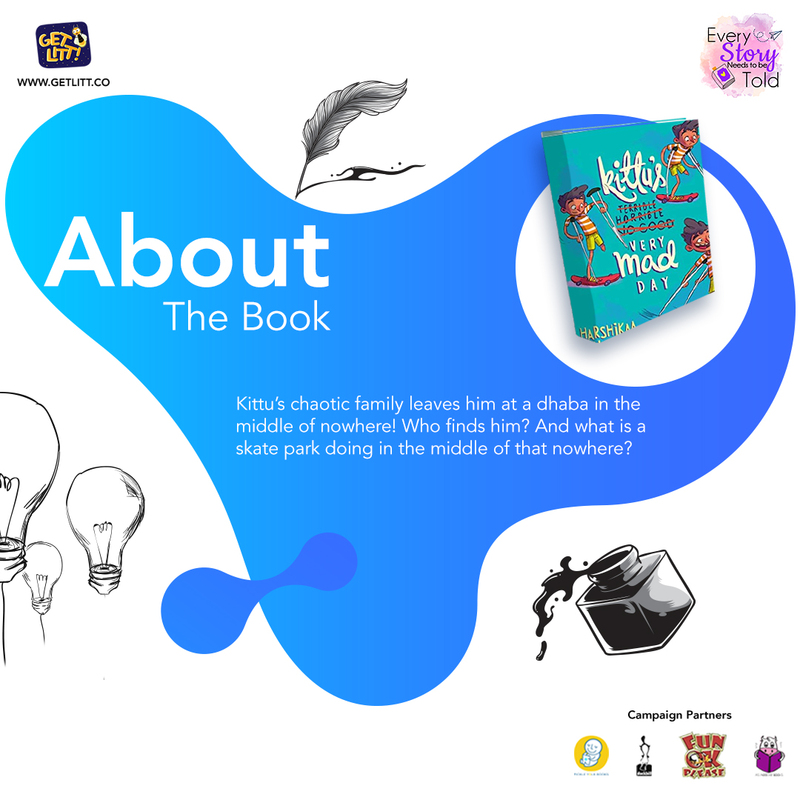 Harshikaa’s first book ‘Kittu’s Very Mad Day‘ was published by Duckbill in 2017 and won the FICCI award for Children’s Book of the Year (english). The book focuses on the theme of being left behind. Kittu’s family leaves him behind at a dhaba on the highway in the middle of nowhere. He is rescued by an icecreamwala and suddenly, Kittu’s terrible, horrible day turns mad! So without further ado here’s a special reading from the book by the author herself. 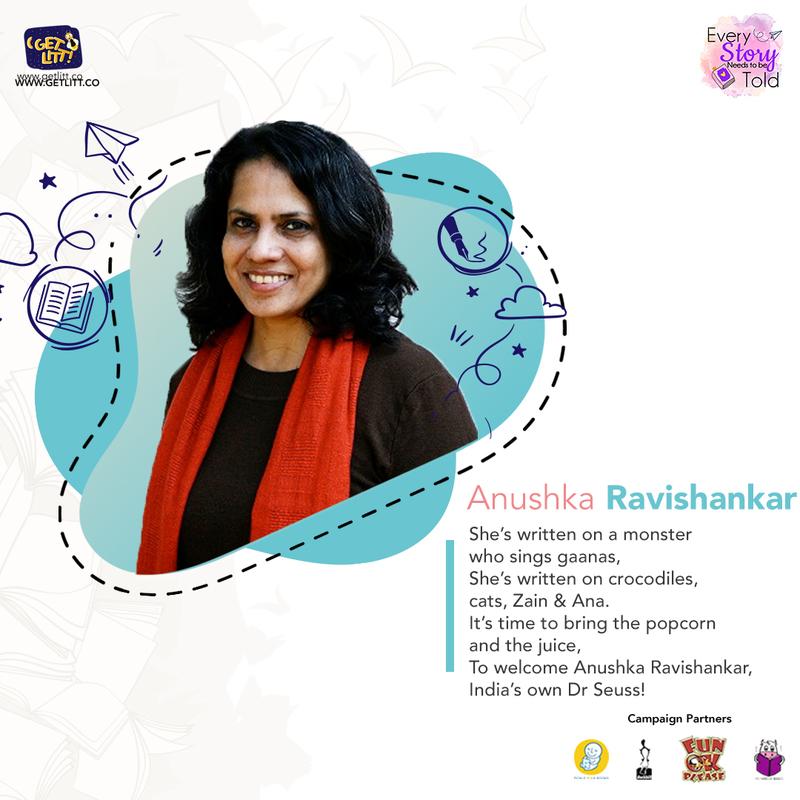 Before Anushka Ravishankar started writing picture books for children, she was in fact a published poet. We’re extremely glad Anushka started writing children’s books too because they’re a delight to read. In 2012, Anushka and Sayoni Basu founded Duckbill, an Indian children’s book publishing house that churns out exciting books that enrich the minds of our little ones. 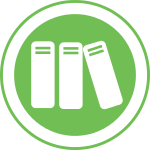 Many of these books can found in the GetLitt! library. Anushka chose to read from her book ‘Moin The Monster’ which is amongst the most read books on GetLitt! 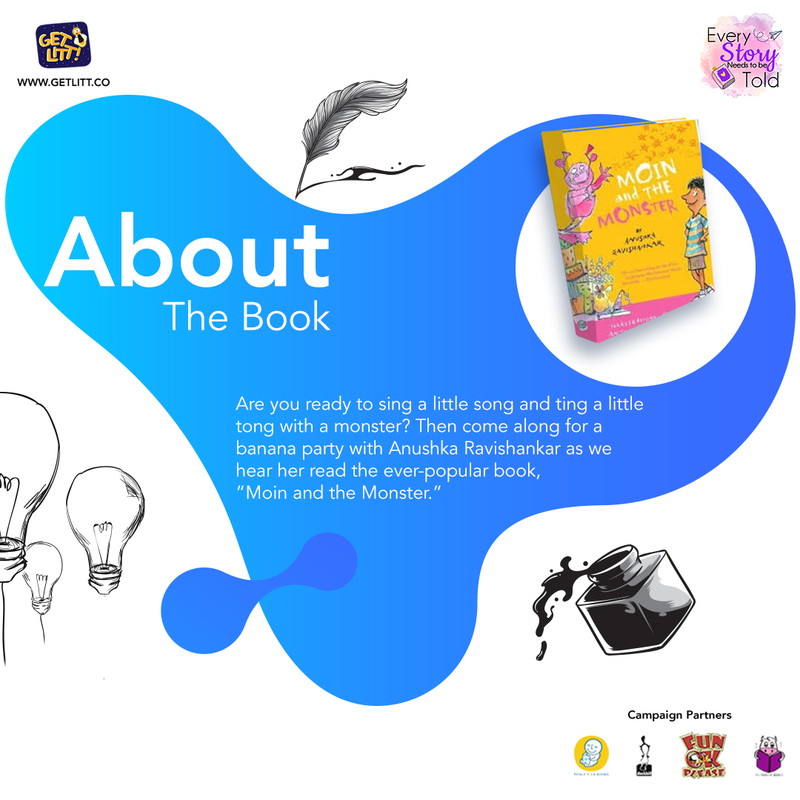 This witty tale about a boy meeting an amusing monster named Moin will dispel all those beliefs that monsters are scary! So, if your child is a bit worried about there being monsters under the bed, they’ll enjoy this book and this video! If you’d like to read the whole book, you can find it in the GetLitt! library HERE. For her storytelling session, Ritika selected her book ‘Ramya’s Bat’ which is about a female protagonist who just wants the opportunity to play cricket with the other kids. However, her Pa and the other kids are reluctant to let her play with them. Sounds like your little one? Well, we’re sure you’ll love this book reading video in that case! We hope you liked all the author storytelling session we’ve had so far. We’re going to be doing a lot of fun activities in the future. So, make sure you follow GetLitt! on our social media platforms to be up to date with all that’s happening. Also, don’t forget to subscribe and get access to some of the best award-winning Indian children’s books on GetLitt! Read More: Storytelling Session with Srividhya Venkat And Natasha Sharma! Next Posts What is Comic Con and Can I Take my Child There? GetLitt is a digital library where the magical fantasy world meets the joyous activity of reading stories. This “litt” library is home to a treasury of books written by celebrated children's authors. The child’s reading journey is peppered with exciting challenges and dares for skilling up. Not only do the children read their way to GetLitt, they also share the light with other children in the world by releasing books with every story they read. The Winners and Videos of The Storytelling Contest! Copyright 2019 @ Writer's Bug Learning Pvt. Ltd.